Daniel is the son of the Chelsea legend David Webb and started out as a trainee with Southampton as a striker, before Southend United agreed a £10,000 transfer fee to take him to Roots Hall in December 2000. Goals were hard to come by during his stay and he went out on loan to Brighton & Hove Albion in December 2001 until the end of the season. He returned to Southend, but went on loan to Brighton again in November 2002 for one month before returning to join Hull City in December. 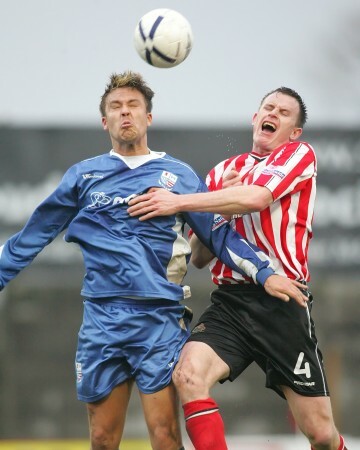 Again, he had trouble finding the back of the net, and went on a one month loan to Lincoln City in March 2003. A further loan in December 2003 saw him spend three months with Cambridge United, before joining the League Two side at the end of February 2004. 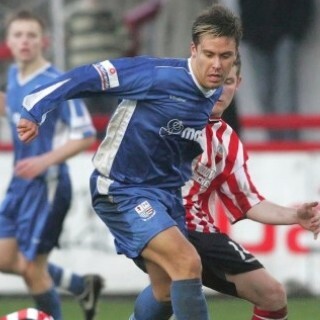 In January 2006, he was released again, and joined Yeovil Town on an eighteen month deal. He never actually started a game for the Glovers, his appearances limited to coming off the bench. Daniel arrived at Nene Park on 4 January 2007 on a one month loan, but was released on 22 January returning back to Yeovil Town, before another loan deal with Woking. He was was released by Yeovil in May and spent the summer with Brian Talbot’s Marsaxlokk side in Malta, before returning to England in July 2007 to sign for AFC Wimbledon. He was released by Wimbledon on 12 May 2008 and spent time with Chelmsford City, Sutton United an Havant & Waterlooville, before signing for Salisbury City on 28 November 2008. Due to the club’s financial problems, he joined Conference newcomers Bath City on 27 May 2010 on a one year deal, extending it for a second year in June 2011. On 4 November 2011, he went on a loan deal with Conference South side Salisbury City, before making the move permanent in the January transfer window, moving into a central defensive role. On 28 May 2012, he joined fellow Conference South side Dover Athletic on a one year deal. After a season at the Crabble, Daniel joined Conference South side Chelmsford City on 3 June 2013 on a one year deal. He left Chelmsford in order to further his coaching career at Leyton Orient, and he became first team coach there in July 2016. He had a brief spell as manager at Brisbane Road, but returned to being a youth coach with the club after resigning the Manager’s role. His Wikipedia page is here.